Edited by: Kavita Datta, Peter Kraftl and Rob Bryant (co-Editors). 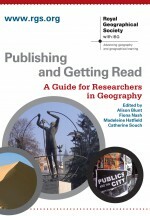 Area publishes ground breaking research and scholarship from across the field of geography. The journal awards an annual prize for excellent geographical research from new researchers. Read further information about the Area Prize. © Royal Geographical Society (with the Institute of British Geographers). © John Wiley & Sons, Ltd and the Royal Geographical Society (with the Institute of British Geographers). The Geographical Journal has been the academic journal of the Royal Geographical Society, under the terms of the Royal Charter, since 1893. It publishes original research papers, commentaries and review essays, all of which are refereed. The Geographical Journal publishes papers that make a major, theoretical, conceptual and/or empirical contribution to the advancement of both geography and ideas pertaining to ‘public relevance’. Transactions is one of the foremost international journals of geographical research. It publishes the very best scholarship from around the world and across the discipline. Geography Compass is an online-only journal publishing original, peer-reviewed surveys of current research from across the entire discipline.